The Music Industry, Movie Studios and other companies who create media contents are always concerned with people getting access to their content without paying for it. Last year, On Request of Big Tech companies such as Microsoft, Google and Netflix, The World Wide Web Consortium (W3C) defined a new API (Application Programming Interface) called 'Encrypted Media Extensions (EME)' in HTML5 to aid web-based video services in restricting the rights of users who utilize their services. Now the companies won't need to rely on third-party plugins like Flash and Silverlight to deliver copy-protected movies and TV shows to your browser. Instead, now they have same capabilities of Digital rights management (DRM) right into the fabrics of the web. All other major modern web browsers, including Internet Explorer, Chrome, and Safari are supporting Encrypted Media Extensions (EME) within the web browser since last year, except Mozilla Firefox. Even after criticizing the use of Controversial proprietary Content Decryption Module, finally in recent announcement Mozilla has decided to adopt DRM in HTML5 in an effort to keep Hollywood happy and to give hard competition to major web browsers, or otherwise people will just shift to those other browsers. "We very much want to see a different system. Unfortunately, Mozilla alone cannot change the industry on DRM at this point. In the past Firefox has changed the industry, and we intend to do so again. Today, however, we cannot cause the change we want regarding DRM." Mozilla CTO Andreas Gal said in a blog post. The Mozilla is partnering with Adobe to provide the Content Decryption Module (CDM). 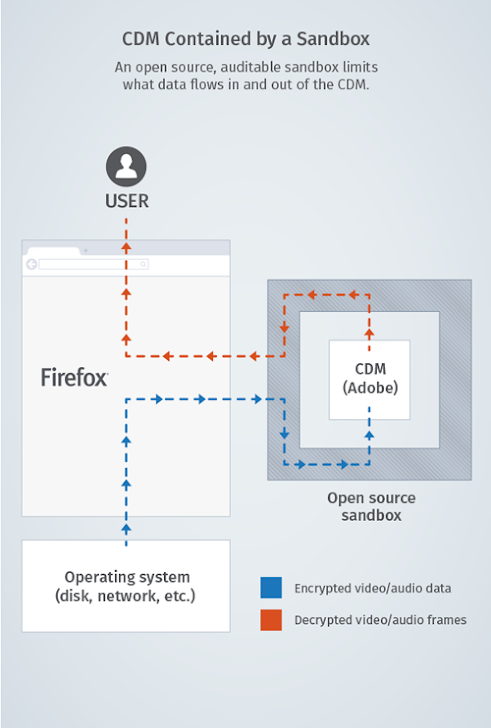 Technically, Mozilla will provide APIs in Firefox browser to enable Web content to manipulate DRM-protected content, and Adobe will provide a closed source Content Decryption Module (CDM) for content decryption at user-end. DRM is not about limiting copyright infringement, but actually it is a mechanism to enforce severe restrictions on users' media through various limits and controls are imposed on both hardware and software. Experts involved in the use of copyright material and the deployment of DRM suggest that authors, along with independent labels, studios, and publishers would also suffer, as it is incompatible with free software. Implementation of DRM is only possible by keeping some parts of a computer secret from users and unmodifiable, which is a direct attack on user's freedom. WHY MOZILLA'S DRM IS BETTER THAN OTHERS? Although, Some Organisation and individual security experts are criticizing Mozilla for choosing close-source CDM, but company plans to implement an open-source sandbox in which Adobe’s software will operate at very limited access to the computer processes and system i.e. Instead of loading it as a module directly in Firefox, Content Decryption Module (CDM), it will be wrapped into an open-source sandbox. That means, at Security Point of view, the module does not have access to the user's hard drive or network and have only options to communicate with Firefox for receiving encrypted data and for displaying the results. Also, Other major web browsers’ DRM implementation assigns a unique identifiers to users that can be used to track and spy on the viewing habits across multiple video providers and sessions, whereas the Mozilla's DRM uses different identifiers for different services. Mozilla has also made DRM as an opt-in option, so that everyone will have the choice to choose whether or not to activate the implementation. "For now we are only deploying this in the desktop Firefox browser." Mozilla said. The Groups, such as EFF (Electronic Frontier Foundation) that oppose DRM are not happy about the change. "It doesn't prevent infringement, which continues regardless. Instead, it reduces the security of our devices, reduces user trust, makes finding and reporting of bugs legally risky, eliminates fair use rights, undermines competition, promotes secrecy, and circumvents open standards." Danny O'Brien, EFF's activist for online free speech and privacy said in a recent blog post. The real goal of this specification is to create a framework that will reduce content piracy, it’s easy to defeat. Even the DRM limits consumer freedoms that would otherwise be permitted, and that can create very real harm to consumers. 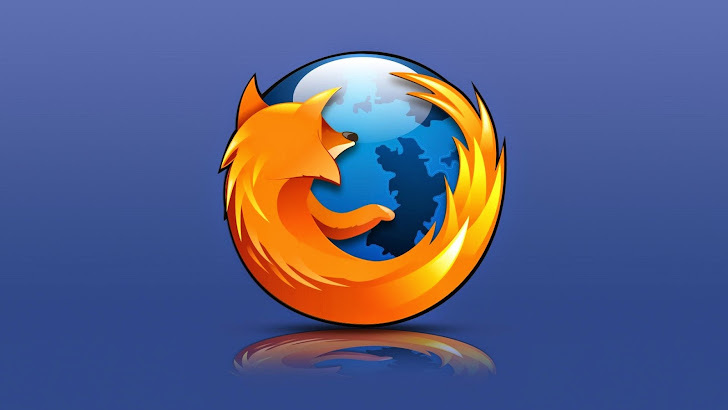 "Mozilla and the W3C are both organizations with missions intended to defend and promote the open web. Both have now committed to a system of content control that is seen as a violation of those principles by many Internet users." EFF said. Now, whether that’s a good or a bad thing, I'll leave it up to you. Please share your comments below.